The Treasury has offloaded £13 billion of Northern Rock mortgages to US investment firm Cerberus. It claims the sale represents a good deal for Britain's taxpayers, whose funds were used to rescue the bank when it collapsed during the financial crisis. The Government has sold £13 billion of former Northern Rock mortgages to a US investment firm called Cerberus Capital Management. It did this through UK Asset Resolution (Ukar), the "bad bank" created in 2010 to run down the loans in Northern Rock and Bradford & Bingley that the Government had taken on. Why would anyone want to buy loans? Obviously anyone who borrows has to pay fairly hefty levels of interest, so anyone who takes ownership of that loan can earn a tidy profit. Of course, they could lose money if a borrower defaults on a loan. As Ukar noted, the buyer has acquired both "the risks and rewards of ownership". Is £13 billion a good price? The Treasury said the mortgages are being sold for £280 million above their "book" value, and that taxpayers will get back more money from Northern Rock than they were forced to put in. However, it is not quite as straightforward as comparing today's price to that which the loans were bought for as there were various other costs involved with the banking bailout. So it is provisionally positive, but the headline figures should not necessarily be taken as gospel. What will be done with money raised? The Treasury said all proceeds will be used to pay down the national debt. 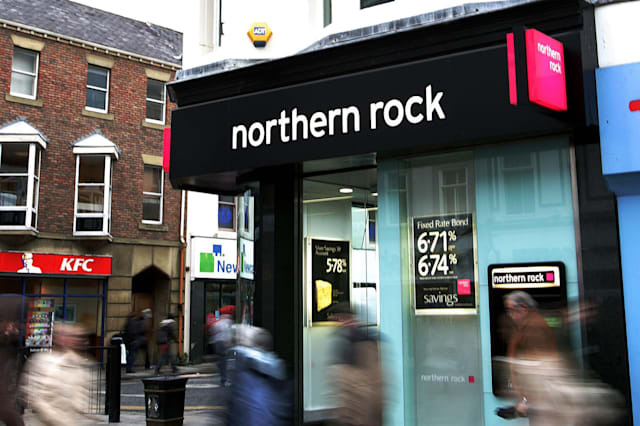 What does it mean for Northern Rock borrowers? There will be no change to the terms and conditions of the mortgages involved. Customers affected need not do anything and they will be contacted directly to explain the move.